Published by the DoD Command and Control Research Program (CCRP), revised 2002, 330 pages, ISBN 1-893723-09-7. 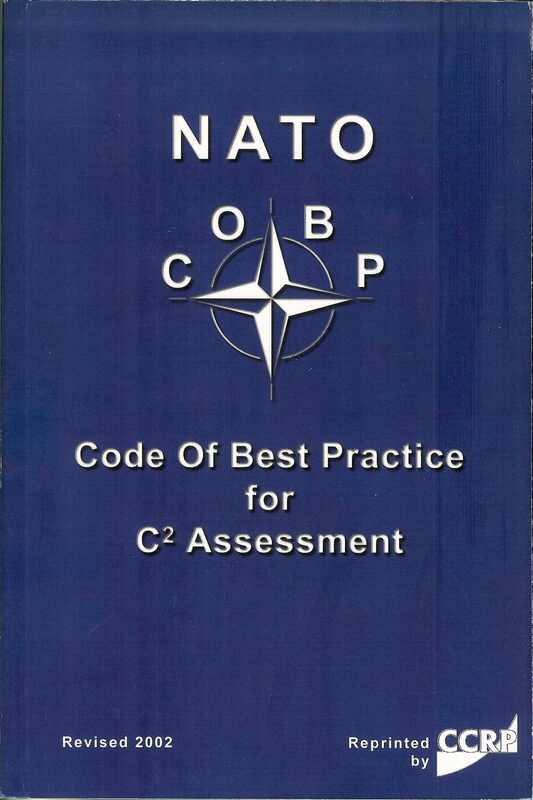 This Code of Best Practice (COBP) offers broad guidance on the assessment of command and control (C2) for the purposes of supporting a wide variety of decisionmakers and the conduct of C2 research. It should be noted that this COBP is focused upon the assessment challenges associated with the nature of C2 and does not attempt to specifically address the unique properties and constraints associated with each of the many C2-related domain problems. This version of the COBP for C2 assessment builds on the initial version produced by SAS-002. The earlier version focused on the analysis of ground forces at a tactical echelon in mid to high intensity conflicts. This version explicitly focused upon OOTW, the impact of significantly improved information related capabilities, and their implications for military organizations and operations. In addition, SAS-026 was cognizant of the fact that NATO operations are likely to include coalitions of the willing and that NATO operations may also be "out of area."